Survive the apocalypse and play this zombie survival game. 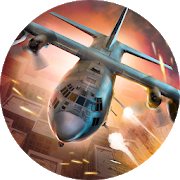 Unleash hellfire into the dead from your gunner seat in the AC 130 Gunship. In a world where most of the population is dead or turned zombie, a few survivors picked up weapons to fight the zombie army attack.